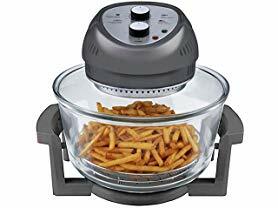 Head over for this 🍟Big Boss Oil-less Air Fryer, 16-Quart $55.99 (Retail $79.99). When making the switch to a healthier lifestyle, there's no need to eliminate the foods your family loves most. Using the Big Boss Oil-less fryer, you can continue making crispy french fries, mozzarella sticks, fried chicken, crispy veggies &amp; more.